Oh chocolate, how you tempt us with that creamy cocoa flavor melting in our mouths and making our tongues twist with pleasure! Yes, delicious and decadent chocolate you are impossible to resist. But why would we want to? Just one bite couldn't hurt. 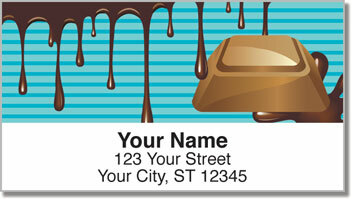 Chocolate Lover Address Labels from CheckAdvantage bring new meaning to the idea of making a tasteful choice. If the artistic images of delectable treats featured on this design don't make you drool - you better make sure your heart is still beating! 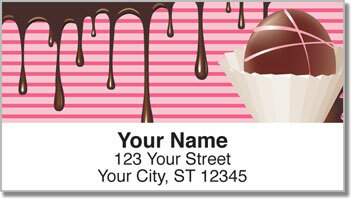 Send a little sweetness on every piece of mail while saving tons of time when you use these convenient self-adhesive labels. 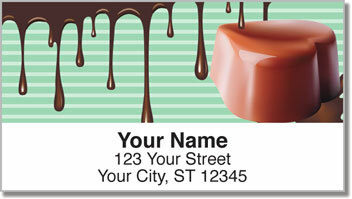 Get your own Chocolate Lover Address Labels now! 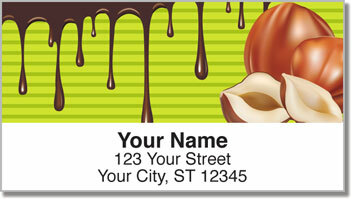 Complete your order today by adding matching personal checks.